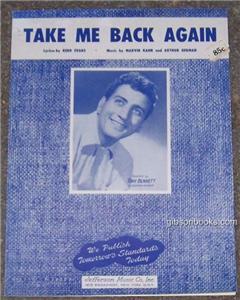 “Take Me Back Again” was recorded on December 27, 1953 and released the following year as a single. It was arranged by Percy Faith. Additional vocals are by The Ray Charles Singers.